"The most productive man you’d ever hope to meet." 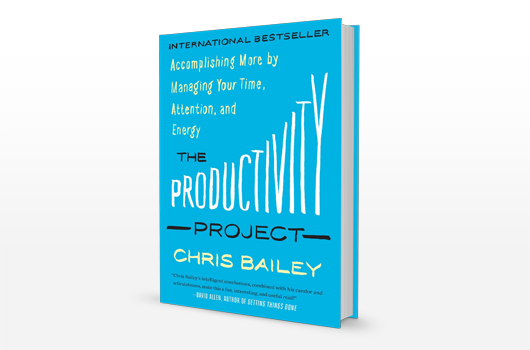 "Chris Bailey is a quirky and energetic guide through the productivity thicket." 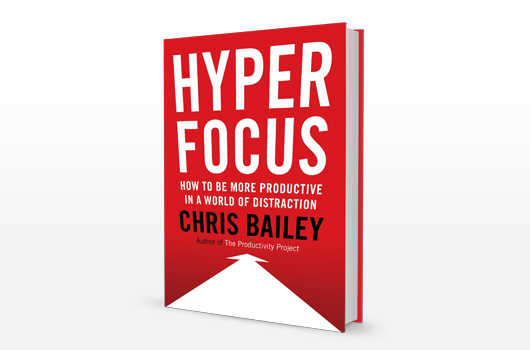 Chris Bailey has written hundreds of articles on the subject of productivity, and is the author of two books: Hyperfocus, and The Productivity Project. His books have been published in 17 languages. Chris’s work has garnered coverage in media as diverse as the New York Times, The Wall Street Journal, Fortune, Fast Company, Harvard Business Review, The Sunday Times, the BBC, and New York Magazine. The research is clear: the state of our attention determines the state of our lives. Yet our attention has never been as overwhelmed or in-demand as it is today. We’ve never been so busy while accomplishing so little, and we’ve grown increasingly uncomfortable with a lack of stimulation and distraction. Modeled after Chris’ bestselling new book, Hyperfocus, this talk reveals how effectively managing our attention hinges on working with greater intention, taming stimulating distractions in advance, and strategically unfocusing to take better mind wandering breaks. • How to get more done by making your work harder, not easier. Over the last decade, Chris has experimented with every productivity tactic under the sun, separating what works from what doesn’t. Drawing on his research, as well as these peculiar productivity experiments—including living in total isolation, using his smartphone for only an hour a day for three months, and meditating for 35 hours a week—this talk will transform how you and your audience think about productivity. In addition to revealing why productivity is about mastering not only time, but also your attention and energy, this talk offers several practical, tactical ways to get more done every day, so you and your audience walk away with solid productivity techniques you can use immediately. Personal productivity advice is just that: personal. For this reason, Chris customizes each productivity talk based on what will be most helpful for your audience, choosing from his arsenal of 25 proven-to-work productivity strategies. Some folks benefit the most from strategies to beat procrastination and prioritize what’s important; others from eliminating distractions or tactics for leading their team to become more productive. Whatever it is you’re looking for, Chris will work with you to find the ideas that resonates the strongest, and help your audience the most. Here are a few testimonials from folks who have invited Chris to come speak in the past! The return on investment from Chris’ workshop just two short months ago is unquestionably massive, and continues to grow. After the event, I received appreciative feedback from everyone in attendance, from new engineers, to industry-renowned experts with 40+ years of experience. One executive vice-president at my company even went so far as to say that the workshop “changed his life.” Chris’ ideas on how to work with deliberateness and intention have grown to become a part of our everyday conversations. Simply put, we’re accomplishing more and are happier doing it. With the always increasing demands placed on us at work, being productive is hugely important in order to succeed in the workplace and have enough time for our personal interests. Chris presents an elegant framework on managing time, attention and energy in order to increase output and create more personal time. Presenting his research and personal experiments with humor, Chris brings life to a sometimes stuffy topic. Friends and family have noticed my increase in productivity, labeling me, “Mr. Efficiency”. Mr E. thanks you, Chris! We chose Chris as he operates in that unique space between productivity and wellness which was very important to us as we wanted to engage those that may be traditionally put off by pure wellness initiatives. Chris’ presentation was engaging, professionally delivered and most importantly, incredibly practical. If you are looking for a speaker who will have a real impact on the way you work, I highly recommend Chris for your company as well. We invited Chris to give a 40-minute presentation on productivity for our university’s general assembly with 1,500-2,000 students, faculty, and staff. Chris immediately engaged our audience and held their attention throughout his impeccably-crafted and memorable presentation. Chris speaks confidently about his experience and expertise, while remaining friendly and approachable. 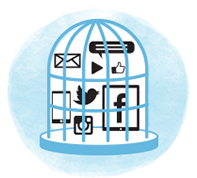 Any organization would be hard-pressed to invite a more practical, relevant speaker. I would welcome Chris back any time. Chris Bailey’s keynote on productivity was perfect for our annual customer conference. Chris is an easy going, funny and relatable speaker that can engage any crowd. He kindly did book signings and attended our receptions to give our attendees more time to connect with him on questions and his ideas. I’d recommend Chris to any organization that is looking for effective connect delivered by a young and engaging speaker. Chris’ enthusiasm and dedication to understanding and dissecting productivity principles provided incredibly valuable insights for our teams here at Zipcar. Chris was not only a joy to watch, but he was a pleasure to work with! Chris’ passion and humor combined with his practical advice and know-how resonated strongly with our audience — especially in how relevant and timely his talk was. Chris’ personal experience living a productive life gave great learnings that are easy to remember and put to use — both professionally and personally. 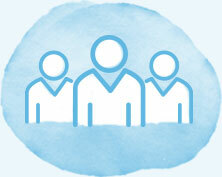 Chris was a great fit for our project management team. Personal productivity is a challenge for most these days, and Chris has done the heavy lifting to sift through the various methods and hacks out there to distill productivity into simple concepts. Chris is entertaining, informative and engaging and was a great choice to help motivate our team to improve their performance through their personal productivity! With his easy going humor and practical wisdom, Chris had our audience hanging on his every word. His message is applicable to all stages of life and career, and I had positive comments from students, alumni and faculty for weeks following his talk. His take home notes hang in my office, reminding me every day that I have the tools for a productive, manageable workflow at my disposal. I would welcome the opportunity to hear Chris speak again! 1. He keeps things practical. A talk about productivity is kind of pointless when it doesn’t lead to real, lasting change afterward. Chris designs his talks and workshops, from the ground up, to be both practical and tactical, so you’ll get tools you can implement straight after. He cuts through the B.S. 2. He cuts through the B.S. There’s a lot of B.S. in the productivity space—advice that sounds good on the surface, but doesn’t work in practice. Chris has filtered through pretty much every productivity tactic under the sun, to separate what works from what doesn’t. He brings a fresh perspective. 3. He brings a fresh perspective. The most helpful productivity advice doesn’t turn you into some mindless robot—it helps you work on what’s important, with intention. Chris’s talks are structured around this new, more human approach to productivity. On top of digging into the research and interviewing experts, Chris has conducted countless weird experiments on himself, where he used himself as a guinea pig to become as productive as possible. Our attention is the most valuable resource we have to get stuff done, become more creative, and live a meaningful life. 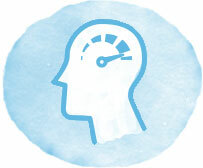 The most recent neuroscientific research on attention reveals that our brain has two powerful modes that can be unlocked when we use our attention well: a focused mode (hyperfocus), which is the foundation for being highly productive, and a creative mode (scatterfocus), which enables us to connect ideas in novel ways. Hyperfocus helps you unlock both. This book shares the 25 most powerful productivity tactics out there—boiled down from the hundreds Chris has experimented with over the last decade—and weaves these together with stories from his (admittedly pretty weird) productivity experiments, as well as interviews with the most renowned productivity experts from around the world. Please let us know what you had in mind for your event!